A book by American archbishop Chaput is making a stir ahead of the presidential elections, against those who want to water down the faith or remove it from the public sphere. 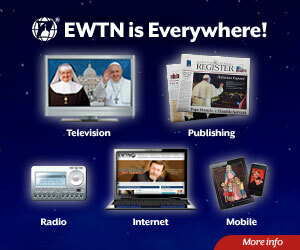 "L'Osservatore Romano" is the first to review it, and recommends that it be read "in the United States and elsewhere". ROME, September 2, 2008 – A few weeks ago, a book was released in the United States that will be widely discussed, especially in the run-up to the presidential elections. The author is Charles J. Chaput, archbishop of Denver. Chaput moves decisively against the prevailing cultural tide in the media, in the universities, among political activists, a tide that wants to thrust the faith from the public stage. Chaput, 64, born to a farming family in Kansas, is a member of the Native American tribe of the Prairie Band Potawatomi. He is a Franciscan, of the Capuchin order. Before going to Denver, he was bishop of Rapid City in South Dakota. He is among the candidates for two top-level archdioceses waiting for new archbishops: New York and Detroit. The title of the book itself gives a hint to its contents: "Render Unto Caesar. Serving the Nation by Living Our Catholic Beliefs in Political Life." It is right to give Caesar what belongs to him. But one serves the nation by living out one's own Catholic faith in political life. But he is also issuing a challenge to the American Catholic community. There are 69 million Catholics in the United States, one fourth of the population. More than 150 congressmen say they are Catholic. In the Senate, the Catholics are one out of four. They are the majority on the Supreme Court. But, the author of the book asks, what difference do they make? But Chaput's book goes much deeper. It urges Catholics to live their faith to the full, without compromise. If American Catholics are going through a crisis of faith, of mission, and of leadership – he writes – the task of overcoming this belongs to all, to the faithful as to the bishops. Among the American bishops, Chaput is one of the most decisive in taking clear positions on abortion, the death penalty, immigration. In the controversy over giving communion to "pro-choice" Catholic politicians, he maintains that those who ignore the Church's teaching on abortion are no longer in communion with the faith. They separate themselves from the community of the faithful. And therefore, if they take Eucharistic communion, they commit an act of dishonesty. In the United States, this controversy remains highly charged. The latest flare-up was set off last April, when during the Masses with the pope on his visits to Washington and New York, the "pro-choice" Catholics Nancy Pelosi, John Kerry, Ted Kennedy, and Rudolph Giuliani received communion. And this task has repercussions for the entire world. American Catholics cannot tolerate it if the United States exports violence, greed, and disdain for human life. They must work actively to bring their nation back to being a beacon of civilization, of religious harmony, of freedom, of respect for the person. Chaput's book has also elicited strong interest in Rome. The same day on which it came out in the bookstores, August 12, "L'Osservatore Romano" dedicated an extensive review to it, written by Robert Imbelli, a priest of the archdiocese of New York and a professor of theology at Boston College. Here below is an extract from the book, followed by the review published in "L'Osservatore Romano". From "Render Unto Caesar", beginning of chapter 4, pages 55-58. Archbishop Joseph Rummel served the Catholic people of New Orleans from 1935 until his death in 1964. By the 1950s, he faced an increasingly ugly problem. The Archdiocese of New Orleans had the largest Catholic population in the Deep South and many thousands of black Catholics. It also had segregated schools. Rummel and previous bishops had always ensured that black students had access to Catholic education. However, segregated parochial schools had the same scarce money and poor quality as the segregated public schools. Read more. 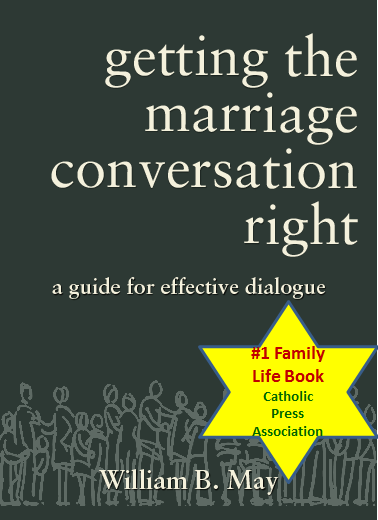 This new book by the Archbishop of Denver, Colorado, though addressed primarily to his fellow Catholics, will also serve to foster a much-needed conversation both within and outside the Church. Moreover, it appears at a particularly significant time: the eve of one of the most important presidential elections in recent American history. Read more. Posted with permission from www.chiesa.